Been all over this state ordering my faves and the Madonna Inn sweet potato fries are still the tops. Most places have trouble keeping them crispy. 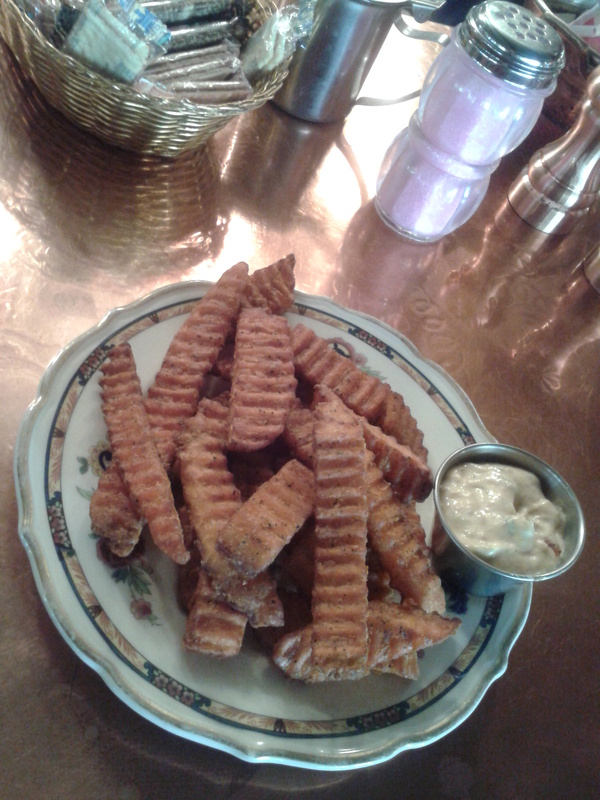 But the Madonna’s crinkle cut sweet potato fries always have light, crisp, and delicious texture. The flavor rocks backed by their smoky chipotle aioli sauce served with them. If you can find better sweet potato fries, please post a comment. I’d love to try them! This entry was posted on Friday, April 19th, 2013 at 8:19 PM	and posted in Food, San Luis Obispo. You can follow any responses to this entry through the RSS 2.0 feed.